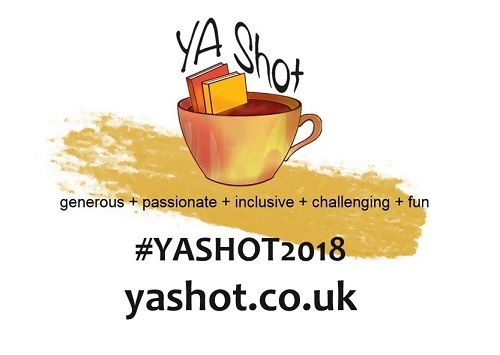 YA Shot 2018 (an author-run books festival) is human rights themed this year, which makes it a perfect opportunity to interview Sita Brahmachari. 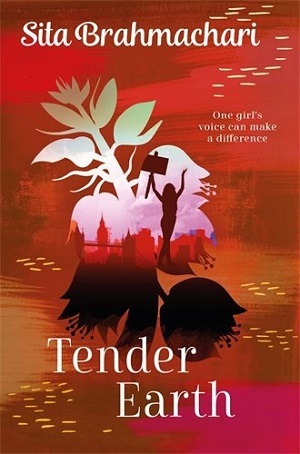 Sita’s novel, Tender Earth, has been nominated as one of the UK Honour Books by IBBY (International Board on Books for Young People). The characters in Tender Earth are diverse in both their backgrounds and their outlooks, and Amnesty International has endorsed the book as illuminating the importance of equality, friendship and solidarity. But it’s not just Tender Earth that eschews these qualities. 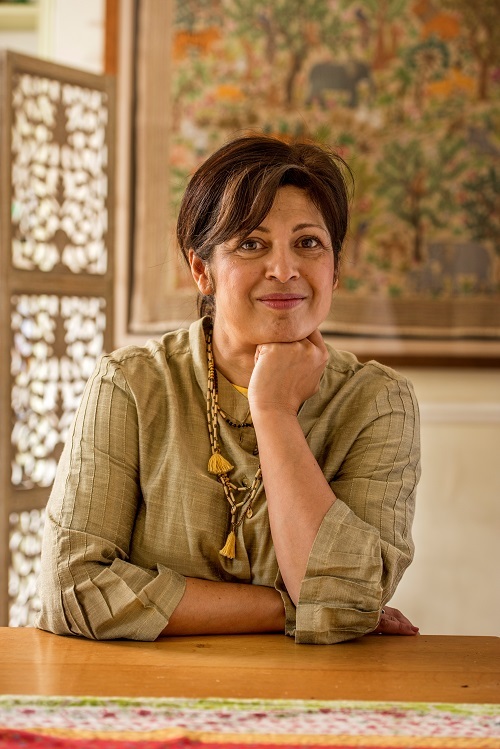 Sita’s books cover a range of topics, from refugees in Worry Angels and Artichoke Hearts to dealing with divorce in Red Leaves, to the rights of a lollipop man, music, and dealing with loss in her latest for Barrington Stoke, Zebra Crossing Soul Song. How much of an impact can storytelling for children have on changing the world/on influencing human rights? I read I Know Why The Caged Bird’s Sings by Maya Angelou when I was twelve years old. I forgot that I was reading. I had stepped into the life of another human being. I was walking with the young Maya through all her struggles in a time and a country that I had never visited. Reading this book opened a portal in my mind and heart. My reading journey really started there and it has led me to explore so many territories and realities that I would never get to visit in one life time. I love that (if libraries and specialist librarians are properly supported) all books can find their way into the hands of all children. Access to books is perhaps the greatest indicator of equality. In Tender Earth Laila is partly inspired to become an activist by reading I am Malala. This is close to my own experience and I hope young readers might be inspired to empathise with many people through my stories and that their empathy might lead them to act, as Laila does to show her support for what she believes in. Your books are often about identity, whether it be our cultural identity, heritage, nationality. How important is it for children to know their family background? I’m interested in all kinds of different identities. There is the identity that we grow up with which we may be comfortable with or not. I’m also interested in the identities we choose. I think of it this way. When I was a young child my parents made choices on my behalf – nothing unusual there – But as we grow we gather our own tastes and interests, as well as strong feelings about the identities and beliefs we should be free to choose. In Jasmine Skies Mira is interested in tracing her family history. It gives her a sense of belonging to a wide diaspora family. However, In Red Leaves Aisha, a young girl who is a Somali refugee, is deeply connected to the family she has had to leave behind, but she must forge a new identity in a new land. We all have several identities depending on context. I think I’m really interested in how identities inform character. In my latest story for Barrington Stoke Zebra Crossing Soul Song Lenny is shocked that Otis his friend would stare at his dads as they stand kissing on the doorstep. Many children like Aisha or Lenny are adopted or fostered and their early stories may be very unknown or unlooked for…what I’m interested in is depicting communities that are open to allowing us to explore all of who we are and can become, including who we love, how we love, what we believe, our cultures, where we come from, where we travel to. For me, exploration of identities is a rich seam for storytelling… I would say most human beings do seek places where they feel a strong sense of belonging whether that be in stories or life. I’ve noticed lots of inter-generational relationships in your novels. Is this something drawn from your own experience? I find the way we structure and segregate a society through age to be limiting. I often find that young people in mixed age groups are more open to widen their horizons and listen to each other. In Tender Earth Dara, who was a Kindertransport refugee, has much to share with Laila about her first-hand experience of being a refugee. I am fascinated in the relationship between oral history and storytelling. Whenever I meet young people I encourage them to ask members of their family about their histories. My first novel Artichoke Hearts explores the idea of what we inherit from people who come before us. In Brace Mouth, False Teeth on work experience in a nursing home, Zeni discovers a whole world in the mind of Alice a woman with dementia. I try to paint many different kinds of families in my stories… there is no one size fits all, but in all the kind of families I depict they quite naturally include members of every generation. Many of your books deal with refugees and the global diaspora. Do you think we are getting better at welcoming refugees in this country, or worse? We are at a moment in history where the politics of migration rages through every media discussion. Some of the language used de-humanises. We are also at a moment when our children are growing up with images of children their own ages drowning at sea and making terrible journeys to find safety. Many unaccompanied children have been denied their legal right (UDHR) to join families who already live in this country. In Tender Earth Dara (who arrived here as a refugee on Kindertransport) cries as she watches the news. But Laila (12 years old) and Pari (the child of Iraqi refugee parents) become best friends. Since Jide in Artichoke Hearts, my stories include refugee children as part of the narrative…Aisha, Janu, Rima, Amir, Pari…they are part of all our stories. How we welcome children in stories matters deeply. 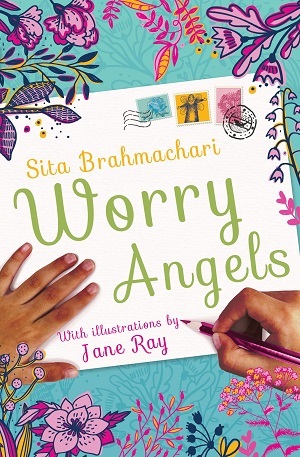 Amy May’s and Grace’s welcome of Rima and her family in Worry Angels is the welcome I would like to see in stories as in life. It’s the welcome that I think is just as important for Amy May as it is for Rima in order for all of us to live in a more empathetic society. I’m glad you mentioned empathy. Can you tell me a little about your involvement in Empathy Lab? I am delighted that Empathy Lab have picked Tender Earth as one of thirty stories that can help young people feel more empathy. I had early discussions with Empathy Lab about the kinds of activities I do in schools and the strongly empathetic responses young people have to my stories. Writers must fully enter into the worlds of so many different characters. I will often engage in thorough research to get under the skin of situations. The process of having empathy for characters and people who may on the surface feel unapproachable is a valuable one as a storyteller and a reader but also in life in general. I would go so far as to say that it is perhaps the most important ability we can learn as human beings whatever we choose to do. For me empathy is active … it creates stories and characters but it also leads me to act differently eg. my discussion about refugee people above led me to work as writer in residence in a refugee centre for several years along with Jane Ray. It also led me to become an Amnesty Ambassador. Do you think it is necessary to portray life’s difficulties and sadness in books for children? Children experience every human emotion just as adults do, and they are often experiencing them intensely for the first time. If we don’t include the full range of human emotion in stories we deny access for children to explore their own emotional worlds. Stories offer a place for us to explore difficulties as well as mysteries and wonders. Very often they allow us try on different ways of being, paths to avoid as well as those to take. Just as Nana Josie in Artichoke Hearts involved Mira in all aspects of her planned funeral, I think it’s vital that children and young people are given access to all that impacts on their lives. 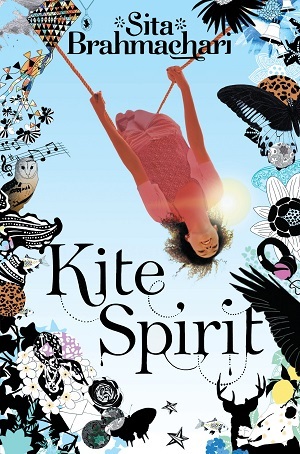 In Kite Spirit I explore the impact of ‘not speaking’ and ‘ staying silent’ about the pressures faced. I am very happy that this story has been taken up by The Reading Agency as a story that helps young people explore their own mental health, and PHSE resources will be created around the story. Reading your books, it always feels as if they are very much character led. What comes first for you as a writer – the character, the plot or the setting? Characters always come first for me. They often lead me to their stories in unexpected ways. This is the adventure of writing …characters, like people, won’t be confined and limited by conscious thought, list making and planning….they grow best when you give them space to dream, imagine and expand and then they can take you places in a story and landscape you never plotted out for them. It’s in the space between what you think you might be writing and what you actually write that the magic and mystery of writing lies. Being free to explore in that space allows the imagination to flourish and the possibilities for your stories to open up. Landscape is also a character in my stories. The Kolkata in Jasmine Skies is perhaps one of the biggest most vital character in that story and its human characters grow out of the landscape. In Kite Spirit I draw heavily on the Lake District landscape of my childhood. Similarly the North London Woods in which Red Leaves is set provided the inspiration for the character of the homeless ‘Elder’… whose skin resembles a gnarled tree trunk in that wood. I find plot from placing my characters in juxtaposition with each other, with landscape and situation and seeing what they say and do! In many ways plot is what comes to me through improvising with my characters. We have symbols for religion, countries etc. There are also lots of symbols that leap out from your books. How important is it for you to attach a symbol to a story – for example – the artichoke charm in Artichoke Hearts? These unifying metaphors often come to me in quite a random way… the artichoke was a vegetable on my table before it was a charm… but it was perfect as a way of drawing together what I was writing about…the complex layers of a life…and what’s at the heart of it. Often these symbols have a deep personal meaning for me and by planting them in the story they act as a story hearth hidden deep in the centre of the book and giving warmth… it’s these symbols that keep the core of the story alive. Does it irritate you to be asked about diversity in your books or is it cheering? Do you think we’ll ever get to a point when it’s a given and not an asked question? We’re not at a point where the children we write for and the characters in the stories are representative of the diverse, global, economically unequal world we live in, so quite simply I see it as part of my job to talk about this and where I can promote change I do. For me it’s not an agenda… all those who love stories want more diversity of stories. As a child I needed them and didn’t find them, as an adult and as a parent of three young people ranging from early twenties to thirteen years of age, I was shocked to find how little things had changed. Over the past decade the debates around diversity including BAME, LGBTQ and disability representation, and also the need for global stories to be translated into English, have become greater and there is activism and the realisation that outreach is needed in many areas of the children’s publishing world. However, this takes place at a time when there are cuts to library services and in the roles of professional librarians. There is little point writing stories with diverse heart and souls if all young people don’t get access to them. In my stories, I believe I normalise diversity by populating my books with a diverse cast of characters and stories… this goes far beyond including names from different cultures. It’s about deep engagement with different people…with difference and with similarity…and it’s about a joy in the mystery of travelling a wide, diverse universe of cultures, histories, languages, experiences and beliefs. This is the normal of how we humans live in the world and increasingly so with technological connectivity. It’s the world our children are growing up in but it’s not the norm in books yet. Until it is, everybody’s horizons are limited. Many children will feel their absence in stories and this can have a deep impact in them finding their presence valued in all aspect of their lives. Can you tell me a little about your route to publication? I was late to learn to read. I lived in my imagination for a long time. I was a doodler and a daydreamer like Mira! When I was ready I became a voracious reader and got a reading chair at the age of thirteen – no one else was allowed to sit there! I travelled to new galaxies on that chair! I studied English at Bristol University. I was in a community theatre play and discovered I loved working with young people on creative projects. My first work was at The Royal Court Young People’s Theatre where I was lucky enough to work on the National Young Writers Festival. Over the next years I wrote plays with and for young people and worked for many different theatre companies. At the heart of my work I have always felt the importance of young people’s voices being heard. I was writing novels and poetry before I started reading but never showed my work to anyone. 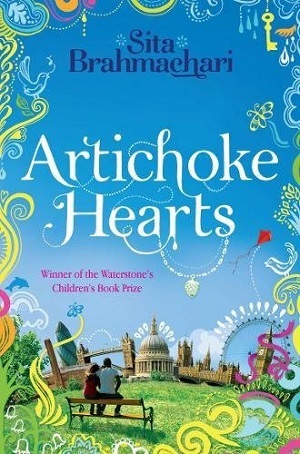 In 2005 I finally plucked up courage to send my story Artichoke Hearts to agents. It was miraculous to me that Macmillan Children’s Books published it and it won The Waterstones Children’s Book Prize. Since then I have been commissioned to write four futher books for Macmillan Children’s Books, four for Barrington Stoke Publishers, short stories in anthologies for Amnesty International and Walker Books and Stripes Publishers (Crisis at Christmas) and a theatre adaptation of Shaun Tan’s graphic novel The Arrival. In September I have my first illustrated novella published by Otter Barry Books, illustrated by Jane Ray. I am currently under commission to write two new novels. With many thanks to Sita Brahmachari. She will be on the ‘Family, faith and identity panel’ at YA Shot on 14th April at 5pm.